If you are between 15 and 24 and you’re wondering what the budget delivered compared with what you were promised during the election, well, it’s a bit of a mixed bag. If you are between 15 and 24 and wondering what the budget delivered, compared with what you were promised during the election, the Liberals have kept some promises in full, others in part and some not at all. If, for example, you were hoping for some of those pre-apprenticeship training programs that were promised or perhaps to see employment insurance breaks for employers that hire youth, you'd be disappointed. But let's look at the good news first. During the election campaign, Justin Trudeau promised to do something about the fact that the unemployment rate for 15- to 24-year-olds is about twice that for the rest of the population. The promise entailed spending $455 million in total each year for the next three years on a jobs strategy. The platform specifically said that $300 million of that money would be spent to create 40,000 youth jobs, 5,000 of which would be green jobs. In the budget, the Liberal government said $165 million would be spent this year to create jobs for youth. Over the next two years the government will make additional investments, but Canadians will have to wait and see how big the investment turns out to be. When we take the $165 million and add it to the $113 the Liberals announced would be funnelled into its summer jobs program each year for the next three years, we are not quite at $300 million this year, but, $278 million is certainly close. The platform also promised to spend $40 million a year to help employers create more co-op placements for students in science, engineering, technology, math and business studies. But in the budget, the Liberals only pledged $73 million over the next five years for this initiative, which is about $14 million a year, much less than what they promised. 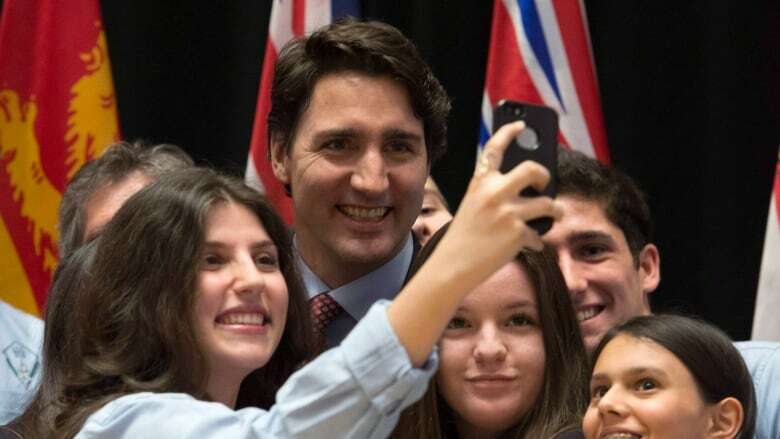 During the election, Trudeau said he would eliminate the textbook tax credit to help pay for an increase in the maximum grant available for low-income students. The promise was to bump up the maximum non-repayable grant amount to $3,000 a year for full-time students and $1,800 a year for part-time students — while maintaining the tuition tax credit where it is. The Liberals also met their promise to provide $25 million a year for a youth services program. Well, almost — the budget directs $105 million over five years into what will be a new domestic peace corps of sorts, but in the first year the program only gets $5 million, increasing further down the track. The pledge to give employers a 12-month break on EI premiums if they hire someone between the age of 18 and 24 into a permanent position, however, was left out of the budget. And that promise to stump up $10 million a year to develop and expand apprenticeships was also missing.